Filled with wisdom about love and life, these Native American prayers, poems, blessings and proverbs portray the perfect messages that brides and grooms need to hear when they are getting married. 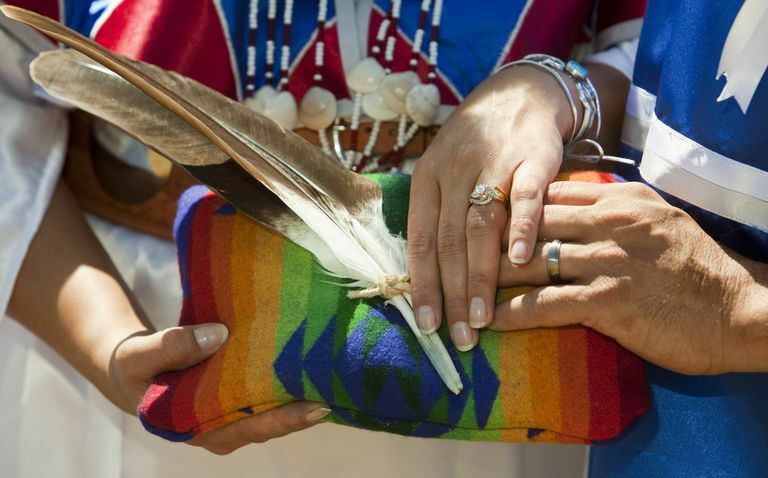 In traditional Ojibway marriage ceremonies, the bride and groom each hold an eagle feather in their left hands while saying their vows. When searching for readings for Native American nuptials, you have likely come across the "Apache Wedding Blessing." Despite its prolific presence online, the popular prayer does not have any cultural connection to a specific tribe. You can find more inspiration in this collection of readings for a Native American wedding vase ceremony. 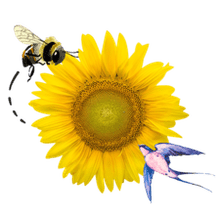 Leslie Gourse has also compiled a beautiful array of indigenous love poems and marriage folklore in her book, "Native American Courtship and Marriage Traditions." Teach me how to trust my heart, my mind, my intuition, my inner knowing, the senses of my body, the blessings of my spirit. Teach me to trust these things so that I may enter my sacred space and love beyond my fear and thus walk in balance with the passing of each glorious sun." Hold on to what is good, even if it is a handful of earth. Hold on to life, even when it is easier letting go. When you know who you are, when your mission is clear and you burn with the inner fire of unbreakable will, no cold can touch your heart, no deluge can dampen your purpose. You that you are alive. You are part of me now. Your eyes glow with life. I'm glad you touched me. One evening, an old Cherokee told his grandson about a battle that goes on inside people. He said, My son, the battle is between two wolves inside us all. One is evil. It is anger, envy, jealousy, sorrow, regret, greed, arrogance, self-pity, guilt, resentment, inferiority, lies, false pride, superiority and ego. The other is good. It is joy, peace, love, hope, serenity, humility, kindness, benevolence, empathy, generosity, truth, compassion and faith."